The Coldest Girl in Coldtown is a novel of the same name as a short story in Holly Black’s The Poison Eaters, and anthology of delightfully dark YA stories, all with particular flavours and drawing on different myths from around the world. The Coldest Girl in Coldtown finds the reader in a post-vampiricism-infected United States. The cities in which the largest outbreaks occurred were swiftly enclosed (earning the name ‘Coldtowns’), trapping vampires, humans, and infected alike in a backwards world where day is night and predators look like the people you once loved. The way one turns into a vampire in Holly Black’s world is unique. It’s a disease that has particular stages from bitten to full vampire, and there’s a way to beat it. Of course sweating out the infection isn’t easy, as it takes 88 days to do so — all the while the infected person only gets hungrier for human blood. I enjoyed this approach to vampiricism because it made each vampire a little more interesting. There were many reasons people became vampires, or didn’t, and allowing for that conscious choice (however blood-crazed in some cases) gave each vampire some depth of character, even if we learn little else about them. Black also acknowledged the immortality of vampires by exposing some back-stories that sometimes went hundreds of years in the past. I enjoyed getting a look at how the culture of the vampires themselves changed after the mass outbreak occurred, and seeing that vampires do age, if subtly. Unfortunately, I found that these flash-back type episodes did little else to help the story. Where they were intended to give insight into the main vampiric characters, they told us little more than we already knew and did not provide any additional depth. I began reading this story with high expectations. I loved almost every story in The Poison Eaters and I was very excited to see what Black did with the Coldtown setting since The Poison Eaters. As my rating suggests, I was disappointed. The setting was still marvelous and well thought out, but I found the plot and main characters to be rather lackluster. The Coldest Girl in Coldtown follows for the most part a girl named Tana. Tana isn’t just a teenage girl, she’s every teenaged girl who has ever gone through an angsty phase (read: every teenage girl). Although she is somewhat accurate in this regard, she lacks one very crucial thing: a personality. As much as we delve into her past and get to see exactly why she is the way she is, I never felt that I ever really got to know Tana like I was supposed to. I attribute this to the fact that her actions don’t seem to fit who she is presented as being. Her actions and her story are at odds, so it was hard to sympathize with her plight in any way. Her redeeming feature, for me, was that she didn’t follow the well-worn ‘plot twist’ of falling in love with one of the beautiful monsters of Coldtown. She did that too. For seemingly no particular reason and at a completely arbitrary time, she decides that her heart belongs to a wicked, broken, couple-hundred-year-old vampire that she has known for a good maybe 24 hours. Of course, this vampire ends up being one of the most interesting characters in the novel, but unfortunately by the end is little more than a secondary character to the very bland leading lady. In the end, I think my vast disappointment with Tana stems mostly from the fact that Black shows us time and time again that she can craft genuine, complex, and engaging characters with every secondary character in the book. From the devilishly evil Lucien Moreau (one of the vampires from the old world) Tana’s ex-boyfriend, younger sister, father, and random hitchhikers she gives a lift, every single minor character is vastly more interesting than Tana. They are relatable, damaged, and true interesting individuals. 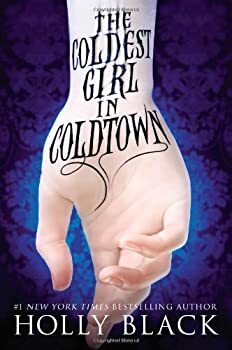 The Coldest Girl in Coldtown isn’t an entirely typical vampire novel thanks to its setting, new brand of vampiricism, and interesting secondary characters. However, I cannot bring myself to recommend it based on the heartbreakingly bland main character, lackluster plot, and unsatisfying conclusion. Maybe Tana and I just wouldn’t ever get along, but I have a feeling she would have to be a lot closer to a real person for anyone to love her like the vampires do. Wow, this is disappointing! I do wanna read that short story collection, though. Thanks for the tip. What a letdown. I’d been looking forward to this one. Ditto Kate, though… I will look for the short story collection instead. I really liked the anthology. Okay, that’s a lie I love those stories. It made this story that little bit more disappointing.